While it's somewhat of a given that Rob Pattinson has a place in every Twilighter's hearts, there's only one actor that I fan girl about from the cast. And that would be Jackson Rathbone. The beautiful photo above was recently taken from a convention where he, Ashley, Rachelle, Kellan, Peter among several other cast members of Twilight appeared (minus the trio, of course). I've viewed tons of fan captured videos during the convention and they pretty much validated what I adore most about this guy: humble, funny and sweet. His work ethic is unquestionable as he's trying to squeeze in as much as he can: recording new tracks for his band 100monkeys, appearing in an episode of Criminal Minds, possibly promoting s.Darko in the future, and shooting The Last Airbender and New Moon. In all the interviews I watched (and downloaded) of him, he's always grateful and pleasant. He does have little quirks but they're hardly noticeable. I remember the question that was asked of TCP's resident Twilight Gay about who among the characters will be his date of choice. 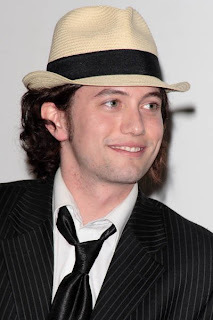 Flipping the question a little to change into choosing among the actors, Jackson Rathbone will be my pick. No doubt about it. I Did This On Amazon? Silly Me. Remember when I made my first book review here in my blog and named it Quill Quips? I hope you do because I'm now two book reviews behind for that segment and I'm itching to work on them. Really and truly. However, I didn't realize that there's a lost Quill Quip and I did it over Amazon?! I couldn't believe it myself to the point of having to remember if I really wrote the review in the first place. But there it was, the review page staring after me after I tried googling my name. Not because I wanted to test how famous I was (which to my adorable nephew, it's not a question but rather a fact), but more to see if my boys (officemates) can find me in cyberspace. They teased me about it over a merienda to celebrate the birthdays of three of my client team's members. I've made my social networking accounts as incognito as possible therefore I'm confident they couldn't find me. Work is work. I'm not too open for them to cross into certain territories of my life yet. Anyway, look around this post to see the link to my review. Sort of an easter egg. It's for the book, The Feng Shui Junkie by Brian Gallagher. Enjoy! It has been three days since I watched the Oscars and I still couldn't get off my happy train. This year's Oscars is the best, in my opinion, in more ways than one. Perhaps, even the coolest. The secrecy surrounding the ceremonies was worth it, although one segment leaked out to the delight of Twilighters here and abroad. But that is not the only reason why I love this year's Oscars. Watching the Oscars (among many other award shows like the Golden Globes, SAG, Emmys, etc.) has been a tradition of mine as long as we had cable at home. Before, I was really into beauty pageants like Miss Universe. However, as I started working and can already afford to watch movies out of my own pocket, watching award shows became a must for me. The beauty pageants went to the sidelines of my watch list. Far too away from the sidelines to be honest about it. Award shows in general, especially those that are voted for by an academy or guild, are really boring. Year in and year out, they always follow the same pattern: short production numbers and montages interspersed with awarding segments, which became predictable. What makes the Oscars a bit special than the other award shows is being the culmination of all guild award ceremonies. Consider it like Wimbledon for the showbiz community: if you are on that show, nominee or presenter, it solidifies your place in the industry, wherever that is. If you win, you will always have that "Oscar Winner" tag in every movie you make. Heck, even the tag "Oscar Nominee" is used too. Another thing would be the selected host, as you're expected to provide the entertainment and ease of transition for each segments. But this year, the production team behind the Oscars wanted to bring some new life into the show. And boy, they've done it. Let's start with the most obvious of all changes: the presence of young, pop Hollywood. Finally, the big cheese is starting to recognize the presence of a stronger force outside of their high-calibre bubble that could give the show the life it needs. Why would they invite Robert Pattinson (I have to mention this guy first. It's a sacrilege if I don't. =P), Tina Fey, Miley Cyrus (who didn't do anything in the awards ceremony but was on the red carpet pre-shows), Zac Efron, Vanessa Hudgens, Dominic Cooper and Amanda Seyfried if not to make that statement? I'm glad that the Academy is now recognizing the power of young Hollywood, as it's where the fans are. If the Academy want to get some more love/interest for their highly-acclaimed movies, then they were able to do so. Mentioning the movie titles in every category can elicit memory recall. I wouldn't be surprised if there are teens and tweens who will positively respond when they hear the words "Slumdog Millionaire." The second obvious change, and one of my favorite parts of the show, is the montages. They didn't just stick with the regular In Memoriam and Best Picture film montages. For this year's Oscars, they added new montages to the previous two I mentioned, around six if I'm not mistaken, that gave a good snapshot on the year that was in all movie genres: romance, comedy, documentary, animation, musical and action. The great thing about this montages is that they were conceptualized by Hollywood's brightest and creative minds. Case in point, the musical montage was created by Baz Luhrmann (Moulin Rouge, Australia) while the comedy was done by Judd Apatow (Knocked Up, Superbad). The show's collaborative effort was apparent and it resonated in every segment. The last change that I love was that they invited twenty previous Oscar winners to help acknowledge the nominees in the four acting categories. For the first time, being just a nominee didn't feel bad at all especially with the accolades and terms of endearment that you get from previous winners. I can empathize with Anne Hathaway's near-to-tears reaction: to be acknowledged beautifully by Shirley MacLaine (who I dearly admire), oh what joy can that be! Allow me to begin with the one and only Robert Pattinson. I cannot stress how much I admire him for being there unlike some actress, although I love very much, who kind of acted like she's high and mighty when technically, by Hollywood standards, she's still a starlet. Doesn't matter if it was a rumor or not, she still wasn't there despite the invitation. Rob was gracious, self-effacing and humbled by the opportunity. Plus he looked absolutely gorgeous in his Dolce & Gabbana tux. And how strategic was his seating arrangement? He was in full view behind Mickey Rourke! Rob presented the romance montage with Amanda Seyfried; both looked really cute together. The montage featured the best romantic cuts from 2008 movies: I saw bits of Definitely, Maybe and Twilight among others. The man is such an eye-candy that I'm distracted by the pic I chose to add to this portion. And if reports or rumours circling were true, Rob enjoyed himself as well and was quite awestruck. He had a fan boy moment with Ron Howard. How's that for pre-departure endorphins before you go to Japan and Canada? Sweet! Next up are the nominee addresses and the speeches. My personal faves for the nominee addresses are those by Robert De Niro, Shirley MacLaine, Whoopi Goldberg, and Cuba Gooding Jr. while for the speeches are those of Kate Winslet (more of that in a while), Sean Penn, Resul Pookutty, Dustin Lance Black, Penelope Cruz, Danny Boyle and Heath Ledger's family. Speaking of Kate Winslet, her win is perhaps the only moment when I watched live that I jumped off of my seat and cried like hell. I want that woman to win, no offense to Meryl Streep whom I've love as well. But this has got to be Kate's time. I was already expecting Slumdog Millionaire to win big at the Oscars. However, it was the Best Actress category that scared me to death. When Meryl Streep won in the Screen Actors Guild awards for Doubt, the race for that category was now between her and Kate. I'm so happy Kate won. It's a nice cap to being acknowledged as the youngest actress ever to receive 6 career nominations, and now a win. Finally! That reminds me, I've got to read the book that I have on my shelf. Here's hoping The Reader would hit the cinemas; I can't wait to watch Revolutionary Road as well. Finally, although mentioned already, are the montages. Again, I don't know why but I shed tears (as always) during the In Memoriam segment. Queen Latifah was singing beautifully while the faces of those departed showed up on the screens. I was surprised to find out that Anthony Minghella and Sydney Pollack were already dead. Capping it off with Paul Newman was heart-warming. However the montage that takes top spot for me would be the action. While I adored seeing some Twilight cuts, the music they used as a back drop to action montage was totally unexpected yet ultra-cool and unbelievable. That music is not the kind you'd expect to hear during the Oscars. What am I referring to? That would be Tick Tick Boom by The Hives! It is like one of my all-time favorite songs. Seriously. It's part of their Black And White Album which, for me, is a must-have for garage rock/punk revival enthusiasts. Honorable mention, before I end this lengthy post, is the end credits montage of the show for a couple of reasons. First, it gave you a brief look into your must-see movies for 2009. Seeing Harry Potter and the Half-Blood Prince there (with very revealing scenes) made me wish for July to come sooner! Last and not the least, which kept my audiophile's heart fluttering, is that they featured another surprising track as the back drop music. Here's the cool part: the song hasn't been released in local stores upon the airing of the show! Wow. Further research allowed me to discover that it is a cover of one of Bob Dylan's songs released in 1967 entitled Leopard-Skin Pill Box Hat. Who covered it? None other than Beck! Geez, I miss that guy! Loser is one of my favorite songs. 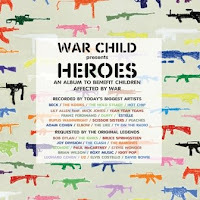 This cover, among many others, is part of the War Child presents Heroes compilation album which is targeted to benefit the kids who are victims of war. The concept for the compilation album is even better. The producers asked several music/rock icons to select one song from their entire discography and choose the band who will cover it. The original song had a bluesy feel to it so for Bob Dylan to select Beck among all music acts is a risky but wise choice, given that their musical styles are almost on the opposite sides of the spectre. But I believe that Beck did justice to the song. I love listening to it, so much that I may have played it over fifty times already. I had moments where I almost did an air guitar with a bit of dance while I was listening to it. It's such a cool, cool song. Whew! This is what happens when you haven't blogged in days. Overcompensation. LOL. Anyway, I hope you enjoyed the post and the easter egg/s I shared. Cheers! I previously shared that I plan to do some changes for my blog. And I did one just right now: putting an Easter Egg in one of my previous entries. I learned about the concept of virtual Easter Eggs from a friend of mine, Jacke, who at one point commissioned my services during an online game within another community she's part of. The online game was like an Easter Egg hunt: you need to find clues within a stage of the game, solve the riddle presented to move on to the next round. There weren't any points for winning: you only get dibs for solving the whole riddle first. When I was helping her out, we were both scrambling for the answer to the riddle. Although her team didn't win (sad), the experience was a fun thing and that became one of the major inspirations for the developments I plan for this blog. Even for my LJ blog, although my current layout is a keeper. Like the turning of the new year, you stock yourself with new things: clothes, shoes, bags, books, etc. Sometimes, you fix or alter stuff like an ill-fitting office ensemble (which reminds me, I need to have some of those brought to the shop). Even your hair-do and kikay kit would need to be updated. RULES: It's harder than it looks! Copy to your own note, erase my answers, enter yours, and tag 10 people. Use the first letter of your name to answer each of the following questions. They have to be real. Nothing made up! If the person before you had the same first initial, you must use different answers. You cannot use any word twice and you can't use your name for the boy/girl name question. Something you wear: Lace underwear? LOL. Sorry, random answer. I just finished transcribing the lyrics of, what I feel is, one of the sexiest sounding songs I've ever heard in my life. Vegas by Sara Bareilles. I can't get tired of it. It has that rhythmic, beautiful, bluesy groove for me. Reminds me of Sade's No Ordinary Love. Sometimes in my musical adventures, certain songs throw me off-guard with the brillance of its lyrics and arrangement. I'm glad that last weekend I devoted my complete attention to Sara Bareilles. Now, I understand why people gravitate toward her. She deserves all the love for her music. Without further ado, here's the full lyrics to the song. If you like reading it, it's better when you listen to it. Trust me. Enjoy! I am afraid of cockroaches. Big or small. Dead or alive. Crawling or flying. In whatever shape or form it is, I am freaking afraid. My all-time comfort food is dipping sour cream and onion Pringles in a pint of semi-soft Double Dutch ice cream. Yum! When I like a song, I play it continuously for at least 15 times or until my ears get tired of it. I like staring at a full moon. Thus, when I buy calendars or planners, I make sure it lists the date for the month when the moon is full. Window shopping is both a pasttime and an exercise for me. When I feel stressed, I walk to clear my head off. I'm an impulsive buyer when it comes to books. Other items, not so much except for basic necessities. I prefer to drink kapeng barako from Batangas anytime of the day and I can prepare a good cup of it using a traditional method. We don't have a coffee maker or coffee press at home. The accessory I cannot live without is a watch as I always need to check the time. The accessory I cannot wear for an entire day is a necklace. I like using a big bag because I want for it to fit a chunky book among with the rest of my girly stuff. I like watching award shows live especially the Golden Globes, SAG Awards, Oscars and Emmys. And I always shed a tear or two during their In Memoriam segments. Don't know why. I'm an anti-mainstream person. I don't like the idea or the pressure of following trends. However, once I get into it even if it's late, I overcompensate. This happened with Harry Potter and Twilight: was late in the game but boy, I have truly overcompensated. Especially with Twilight. However, the overcompensating sentiment doesn't apply to my fashion choices since I purely invest on the basics. I own two (2) portable HDDs which I named Silver and Selene. If I buy a laptop in the future, I plan to name it Hayley. I am a couch potato and an RT/RX enthusiast until about eight months ago. I hardly turn on the TV in my room nor listen to the radio except when I have nothing else to do. I have a 20/20 vision. This despite being a voracious reader and a couch potato since 5. The bookstore is the only place I can stand/stay in for hours without getting hungry or minding the time. My favorites are the ones located in Bonifacio High Street and Araneta Center, Cubao. I prefer flats than heels and feel more comfortable wearing a pair of pants than a dress. Very Katharine Hepburn of me. I have recently mastered the art of laughing heartily without a single sound escaping from my lips. I am not an athletic person. The only athletic thing I do is cycling and chess. Although I loved playing softball/baseball in highschool. I had a mean swing then. I was proud of my homerun record. I prefer cocktails than beer, although I can drink both on a social basis. I'm a realist. I firmly believe in the phrase: hope for the best, expect the worst. I love to cook, especially anything that involves pasta. I would like to learn how to bake though. I visit the National Museum occasionally just to stare at Juan Luna's Spolarium. I see something new every time I look at the painting. I move to Intramuros afterwards. The farthest province I've visited in the country is Davao while the farthest place outside the country is India. I keep a password-protected Word document diary which is about 8-9 years old already. The entries are still growing despite having blogs here and in LJ. Some thoughts are just meant to be kept private. When St. Augustine arrived in Milan, he observed that the Church did not fast on Saturday as did the Church at Rome. He consulted St. Ambrose, bishop of Milan, who replied: "When I am at Rome, I fast on a Saturday; when I am at Milan, I do not. Follow the custom of the Church where you are." The comment was changed to "When they are at Rome, they do there as they see done" by Robert Burton in his Anatomy of Melancholy. Eventually it became "When in Rome, do as the Romans do." However, in today's globalized world, does it still apply? I came to question this quote upon watching a news bulletin about a Filipino OCW in Australia who was terminated from his work because he brought his personal water bottle in the bathroom which he uses to wash himself after heeding to Mother Nature's call. This Filipino OCW was terminated because he wasn't comfortable using toilet paper to clean himself up. A legal battle ensued where eventually the Filipino OCW won. He was able to demonstrate his cleanliness upon inspection of his household and bathroom behaviors (I couldn't believe that the investigation went to that point). Pinoys are known for being hygienically conscious. We take a bath or wash ourselves at least twice a day. I remember that my TCP friends almost found the rumour (or not) that Rob Pattinson was not washing his hair for six weeks, an absurd, if not gross, idea -- even though they were laughing during their podcast discussion. On a related note, I remember a similar story where a Pinoy kid in Canada refused to go back to school after being teased by his classmates for using a spoon when he eats. The school's principal even told off the kid's parents to teach their son to use a knife and fork when eating because he was in Canada. Back to the quote and the question. When in Rome, do as the Romans do. Does this apply still now in the world we live in? When we live in a different country due to work or migration, are we supposed to shed off what makes us distinct as a person, as a culture, to adapt new behavioral patterns simply because we are in Rome, Australia or Canada? When I visited India and Singapore a couple of years back, I tried immersing myself in those countries' cultures as a sign of respect for the locals. I sampled their food, even participated in their local dance. I understood what makes them unique as a country and as a race. In doing so, they became equally curious as to how certain things are being done in our country and was open enough to allow me to do things as I please during my stay. Even if it means eating my meals using a spoon and fork despite using my hands or being given a pair of chopsticks on several ocassions. Not to worry though, I did use my hands and my handy pair of chopsticks more than half the time. For me, the quote above is applicable when you travel to a different place as a tourist, whether it's within our country or out. Even within the Philippines, there's a rich diversity that's waiting to be explored. However, when you start living in a different country, this rule should apply sparingly. Being in a more globalized time should allow for things like this. I have yet to hear of a story wherein we, Pinoys, have insisted to an American or European living in our country to use a spoon when they eat. Why can't the same courtesy be extended to our fellow Pinoys or even other races who are working their butts off and living in other countries? I find it irritating/unbelievable that simple things like have the ability to cause a lot of trauma and unnecessary effort just to force "being a Roman." Where's the sense of respect and common decency in all this? I don't mean to sound frustrated. Yet, I can't help but feel sad when I hear stories like these. It somehow casts a small shadow on my aspirations to work abroad. Are we, humans in general, so narrow-minded and clouded by what we have come to know and grow up with that it is a struggle to see things differently and understand that we don't have to think the same way? I believe that synergy can exist in diversity and the key ingredient: RESPECT.